Photo: Anton Giæver giving a talk at the plenary session of the International Trout Forum in Karelia, Russia. 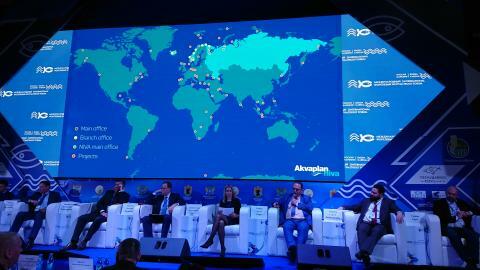 In February and March this year, Akvaplan-niva took part in international aquaculture events in Russia playing key roles in addressing aquaculture development issues and bringing forward bilateral Norwegian-Russian cooperation. On 11-12 of February, Akvaplan-niva participated in the Norwegian Russian Chamber of Commerce (NRCC) Aquaculture Workshop, a study visit in the Leningrad region and St Petersburg, and in a NRCC networking meeting. At the aquaculture workshop Deputy Director at Akvaplan-niva, Anton Giæver, gave a speech about the Norwegian fish-farming industry development, status and long-term perspectives. At the networking meeting he presented ongoing joint Norwegian-Russian aquaculture projects. 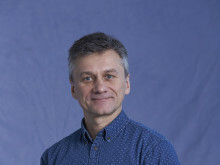 Alexei Bambulyak, Manager Russia at Akvaplan-niva, was a moderator at the workshop and discussions. The first International Trout Forum was arranged in Petrozavodsk on 12-13 of March. The Russian Federal Agency of Fisheries invited Akvaplan-niva to take part in the Forum and give a talk ‘The Magic Triangle: Business-Science-State’. Anton Giæver presented at the plenary session and participated in a Big Jury at the panel. On 9-10 of April 2019, St Petersburg will host the 5th International Forum ‘Arctic: Territory of Dialogue’. This is the largest and most prestigious Arctic event held in Russia. The organizers expect to gather about 2500 delegates from several Arctic and non-Arctic countries at the Forum. Akvaplan-niva participated in the previous Forums held in St Petersburg, Arkhangelsk and Salekhard. In 2014, Akvaplan-niva signed a Cooperation Agreement with the Russian Geographical Society – the organizer of three first Forums, and in 2017 Akvaplan-niva signed a Collaboration Agreement with Roscongress Foundation that took over the Arctic Forum management. This year, Akvaplan-niva is invited to take part in the Forum and give a talk at the session ‘Key Aspects of The Promising Areas of the Arctic Fishing Industry’. Anton Giæver from Akvaplan-niva will give a speech on coexisting of petroleum and fishery industries, focusing on aquaculture, in Norway and prospects of Norwegian-Russian cooperation. The Norwegian official delegation to the ‘Arctic: Territory of Dialogue’ forum will be headed by Prime Minister Erna Solberg.